Created to provide helpful information about the Alaska Cannabis Industry. Information will be updated here as it becomes available. Check back for updates! Please note; while we aim to keep this pages fully up to date with the latest information, cannabis laws are always changing. We encourage you to verify these rules and regulations in the official legal text, which we’ve linked throughout for your convenience. Cultivators (also commonly referred to as Producers or Growers) – Cultivators are responsible for growing cannabis. Mature plants are harvested and transferred to a Manufacturer’s. Limited Cultivation Licenses are limited to 500 sq ft.
What are the Fees for a Standard Cultivation License in Alaska? What are the Fees for a Limited Cultivation License in Alaska? 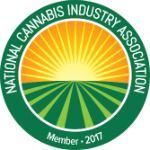 Product Manufactures take harvested cannabis from Cultivators and create derivative extracts for edibles, concentrates, topicals, and prepacks. Finished products are transported to Retail Marijuana Stores. What are the Fees for a Marijuana Product Manufacturer in Alaska? Concentrate Manufactures take harvested cannabis from Cultivators and create derivative extracts. Concentrate Manufacturing Facilities only produce concentrates. Finished products are transported to Retail Marijuana Stores. What are the Fees for a Marijuana Concentrate Manufacturer in Alaska? What are the Fees for a Testing Facility in Alaska? Retail Marijuana stores sell legal cannabis, and cannabis products, to responsible adults 21 and over in compliance with local regulations. What are the Fees for a Retail Marijuana Store in Alaska? Prior to getting a job at a licensed cannabis business, applicants must obtain a Marijuana Handlers Permit. How can I get a Marijuana Handler Permit? To receive a Marijuana Handler Permit, applicants must first complete a training certification course. Once the course is complete, visit the Alcohol and Marijuana Control Office website to initiate the online application. What are the Fees to get a Marijuana Handler Permit in Alaska? Alaska’s Marijuana Program is operated by the Alcohol and Marijuana Control Office. Licensees are required to submit data to the state’s cannabis tracking system, METRC. For the latest cannabis-related legislative updates on Alaska, check out our Cannabis Bill Tracker! ALASKA SUCCESS STARTS WITH CONTACTING US!